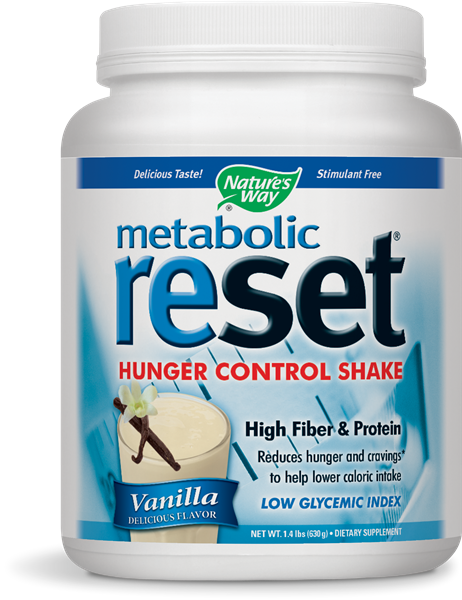 Metabolic Reset Vanilla Shake / 630 grams - Nature's Way®. To make a satisfying shake, add 2 scoops (45 g) of powder to 8 ounces of cold water. Shake or stir briskly into a smooth consistency. If desired, blend in fruit or other healthy ingredients. May also be mixed with skim, soy or other milk.